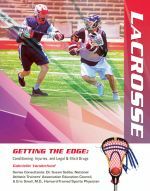 Mason Crest Publishers announces the Getting the Edge: Conditioning, Injuries, and Legal & Illicit Drugs series of educational books. 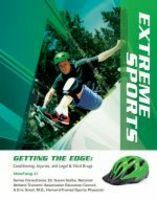 The 14-volume series will be available in the fall 2010 and is written for young people who are interested in learning about various sports and how to participate in them safely. Each volume examines the history of the sport and the rules of play; it also acts as a guide for prevention and treatment of injuries, and includes instruction on stretching, warming up, and strength training, all of which can help players avoid the most common musculoskeletal injuries. 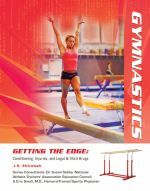 Each volume also includes tips on healthy nutrition for athletes, as well as information on the risks of using performance-enhancing drugs or other illegal substances. The editorial consultants for this series are Susan Saliba, Ph.D. and Eric Small, M.D. Dr. Saliba is a senior associate athletic trainer and a clinical instructor at the University of Virginia in Charlottesville, Virginia. A certified athletic trainer and licensed physical therapist, Dr. Saliba provides sports medicine care, including prevention, treatment, and rehabilitation for the varsity athletes at the university. Dr. Saliba is a member of the national Athletic Trainers’ Association Educational Executive Committee and its Clinical Education Committee. Dr. Eric Small is a Harvard-trained sports medicine physician and nationally recognized expert in the field of sports injuries, nutritional supplements, and weight management programs. He is author of Kids & Sports (2002) and is Assistant Clinical professor of pediatrics, Orthopedics, and Rehabilitation Medicine at Mount Sinai School of Medicine in New York. He is also Director of the Sports Medicine Center for Young Athletes at Blythedale Children’s Hospital in Valhalla, New York. Dr. Small has served on the American Academy of Pediatrics Committee on Sports Medicine, where he develops national policy regarding children’s medical issues and sports. 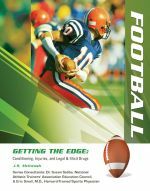 The text helps the reader appreciate and gain awareness of the sport’s history, standard training techniques, common injuries, dietary guidelines, and the dangers of using drugs to gain an advantage. 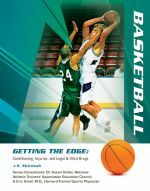 “Written in a direct and easily accessible style, Getting the Edge is an enjoyable series that will help young people learn about sports and sports medicine,” said Sanna. For more information on the series and Mason Crest Publishers, call 866-MCP-BOOK or visit http://www.Masoncrest.com. Mason Crest evolved in 2002 from some of the key people responsible for making Chelsea House Publishers one of the leading young adult and reference school and library publishers. Mason Crest is dedicated to providing the most unique upper elementary and young adult quality books available within the school and library marketplace. With each series Mason Crest obtains the most proficient & knowledgeable editors, advisors, senior consultants, major institutions, authors, agencies, and specialized “think tanks” to ensure the books meet the highest standards of excellence. Mason Crest is currently offering over 1,500 titles that reflect the company’s dedication to quality. A complete list can be found online at http://www.masoncrest.com.